The National Lottery social campaign asking people to show support for the British Athletics team, which was hijacked with offensive messages, is PRWeek's Flop of the Month. It wasn’t the first organisation to experience the downside of relying on user generated content, but the National Lottery should have learned the lessons before embarking on this car crash campaign. 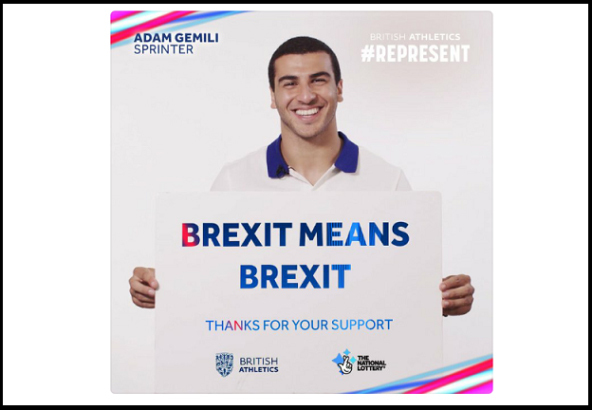 The National Lottery’s #REPRESENT campaign encouraged people to leave messages of support for the British Athletics team, which in turn generated pictures of athletes holding boards showing the name the person submitted. However, several users saw it as an opportunity to post offensive messages, including about Madeleine McCann and Jimmy Savile (below), which were then put onto the pre-shot images of top athletes. 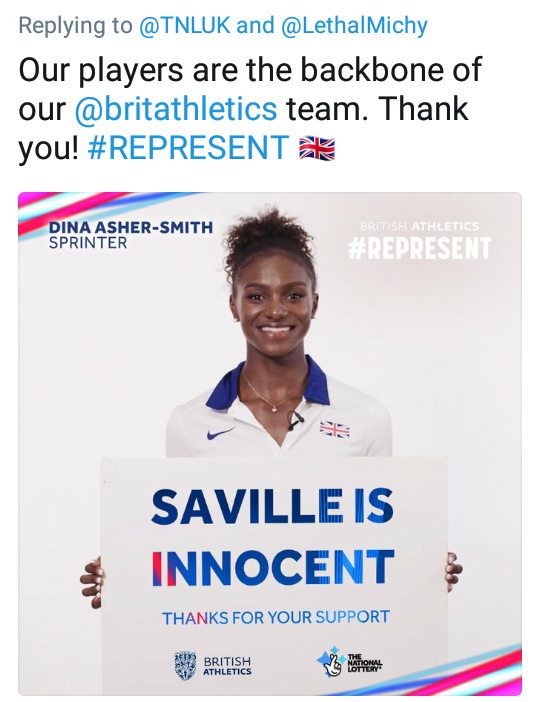 The messages were removed, and The National Lottery said on Twitter: "We are aware that some people are maliciously targeting our British Athletics Twitter campaign with offensive and abhorrent content. We are dealing with this as quickly as possible and are hugely sorry for any offence caused by this malicious act." #REPRESENT backfired in almost exactly the same way as a Walker Crisps campaign from the summer, starring Gary Lineker. Other brands to suffer a similar in recent years fate include Nutella, with its personalised jars campaign; Coca-Cola, with Share a Gif; and Microsoft, whose AI platform Tay spurt out offensive slogans after being ‘educated’ by tricksters. The lesson is: if you’re running a user-generated campaign that relies on the public’s goodwill, make sure you have safeguards in place to stop it being hijacked; because it almost certainly will.